ISBN 9790006507191. 31 x 24.3 cm inches. Key: G major. 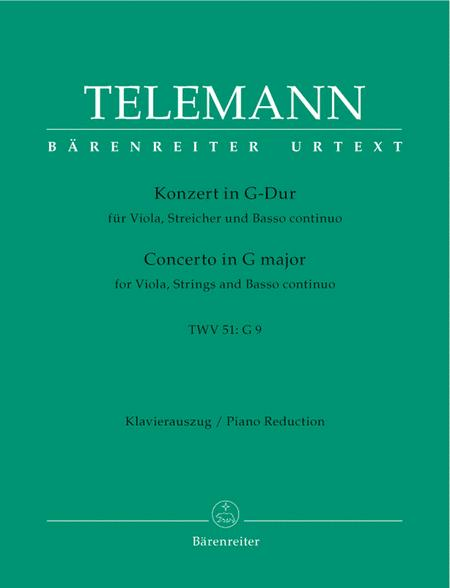 The Concerto in G major (TWV 51: G 9) is not only Telemann's only concerto for the viola but one of the earliest viola concertos in history. 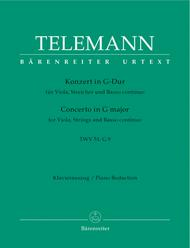 It belongs to the standard repertoire of every violist and is also suited for less experienced players, being relatively easy to master.